Happy Wednesday everyone.. 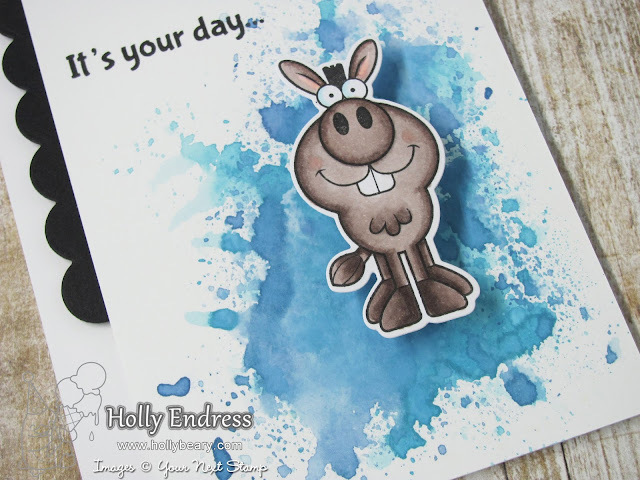 It's time for our Monthly Feature Day at Your Next Stamp and this month the team was challenged to create a card showcasing "Laughter". My first stamp set from YNS was the Funny Farm Crew and it's still my absolute Favorite!! 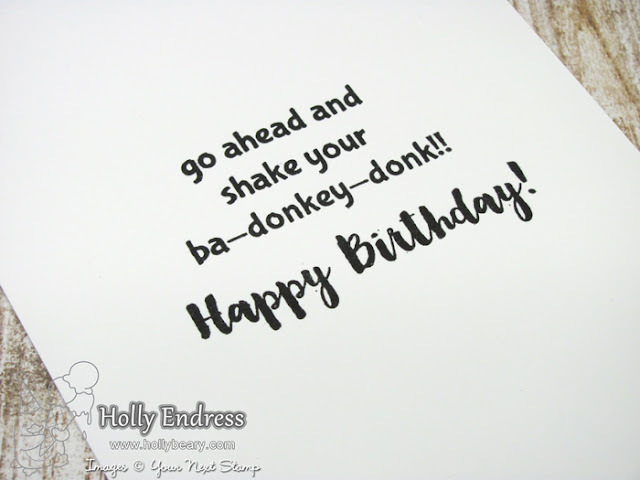 So today I'm using the Donkey and a sentiment from the coordinating Funny Farm Sentiments set. I created a background on a piece of watercolor paper using some Distress Oxide Inks and then I trimmed 1/4" off the side. I die cut the scallop edge from the Little Ledges Border die set from some Black card stock and added it along the edge. Then I adhered the panel to a top folding White card base with some Fun Foam. 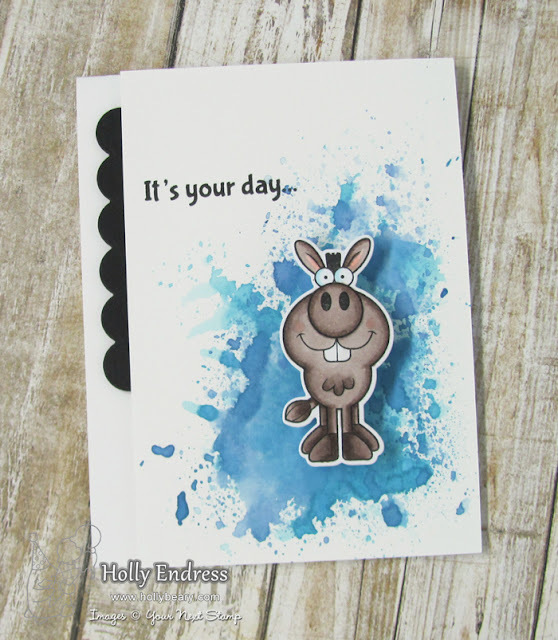 I stamped the donkey image onto some X-Press it blending card stock using YNS Black Olive Ink and colored it in with Copics: E70, E71, E74 & E77 with a little R20 for the cheeks and inside the ears. I used the coordinating dies and cut the image out. 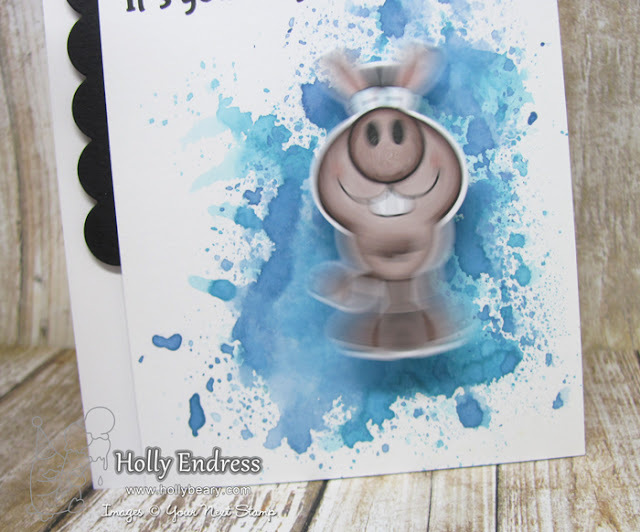 Then I adhered it to the card front with a mini action wobbler. I stamped the sentiment just above in the same Black Olive Ink. A Donkey shaking his Ba- Donkey- Donk was only fitting for the sentiment inside the card!! The Happy Birthday Sentiment is from The Little Darling Mermaid set. Head over to the YNS Blog for more fun "Laughter" inspired projects and a chance to WIN a stamp set of your choice!! !